From cedar shakes and tile rooftops, to newer composition and asphalt shingle surfaces, the gradual accumulation of mold, algae, moss, and lichen can significantly damage the integrity of your roof. Eventually leading to rot and roof replacements that cost thousands of dollars, choosing the proper roof washing company is crucial. At Northern Power Washing, we’ve seen the aftermath of unprofessional and amateur roof washing applications. Black streaks and stains are still visible due to improper cleaning techniques or solutions used in the wrong amounts. High-pressure spray nozzles strip away protective surfaces and break seals on skylight windows, shortening the life of your expensive roof. 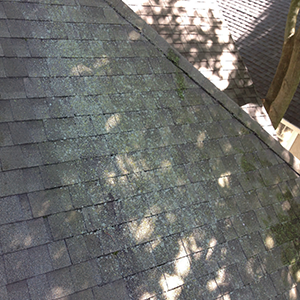 All these factors can easily leave your roof in far worse shape than when you started. But with our roof washing experts on your team, you’ll earn peace of mind knowing that we’ll do the job right, the first time! The Asphalt Roof Manufacturers Association (ARMA) highly recommends the soft washing technique utilized by Northern Power Washing. Our professionals are proud to be the ONLY company in the Chicagoland area that performs this safe and effective roof washing treatment! We start off by putting down an initial, eco-friendly coat of bacteria-killing, dirt-lifting mixture of cleaning agents and detergents. 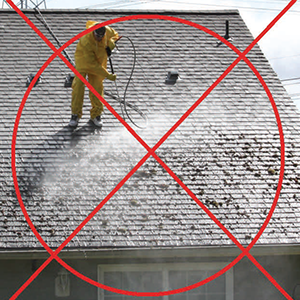 The cleaning agents break the organisms’ bond to your roof, allowing the dead matter to harmlessly rinse off your roof over the next month with the rain. Our team will come back in 2-3 months to check on the roof’s health and will spot treat any areas still in need of soft washing. 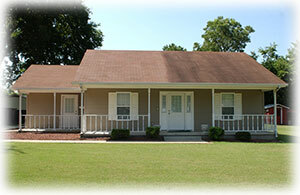 The majority of roofs do not require follow-up treatments, but we offer this service to all of our customers. Easily-applied and extremely effective, we take care to respect the integrity of your roof as if it was our own. Many applications can be performed from a ladder and do not even require us to walk on the roof’s surface. And throughout the entire process, we guarantee your complete satisfaction. That’s our number one priority! 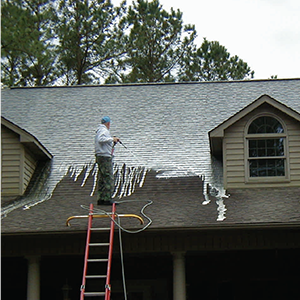 Seasonal roof treatments can significantly prolong the life of your roof while killing harmful contaminants. Instead of tackling this dangerous and time-consuming job on your own, speak with Northern Chicagoland’s leading roof washing experts. 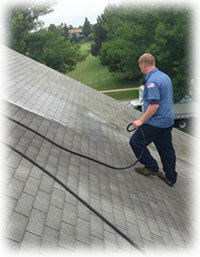 Leave your roof washing to the trusted professionals at Northern Power Washing. For a free, on-site estimate and consultation on how we can transform your home’s roof, contact our roof washing experts at (847)-321-8261. Did you know that those black streaks on your roof are actually a form of algae? Roof Washing is the process of removing black streaks and stains, including green algae and black algae (gloeocapsa magma) from shingles. This type of algae and staining is prevalent in areas with high humidity. The black stains are also very likely to harbor a number of molds or fungi. The fungi on our roofs lacks chlorophyll and is unable to manufacture food from raw materials. The algae must get nutrition from some form of organic matter. To thrive, they also require a warm, humid environment. Fungi normally begin their life cycle as an airborne spore that settles on roofs. The spores on the northern exposure of the roof stand a better chance of survival because that portion of the roof is the last part to dry after a rain or morning dew. This raises the humidity on the surface of the shingle, thus creating a perfect feeding and breeding ground. Once the bacteria have become noticeable, the stains will continue to worsen year to year. Most experts conclude that if this is left untreated it will result in premature aging, rotting, and/or granule loss of the shingles. Don’t replace your roof! Having your roof professionally cleaned can make it look new again, and can also prolong its life. With the right mix of cleaners, algae, moss and lichen are history! NO!! 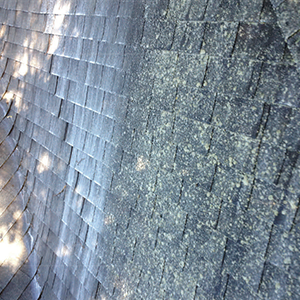 Pressure washers strip the protective asphalt franules from the shingle and can severely damage your roof. The lichen is killed on contact and turns white. The fungi structure will break down over time and eventually will fall off the roof.